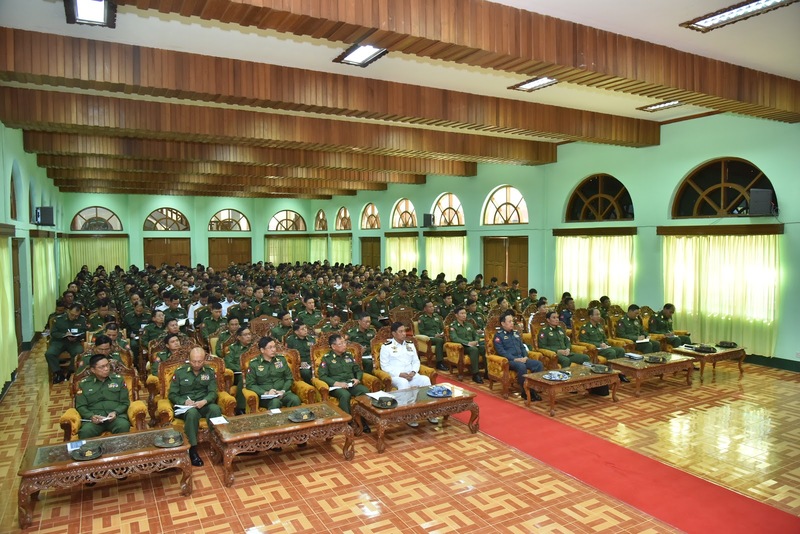 Only qualified senior officers are chosen to attend the course, which is the highest level course in military training, and is designed to enhance the capability of Tatmadaw in safeguarding the State and lives and property of the people, said Commander-in-Chief of Defence Services Senior General Min Aung Hlaing in his speech to senior officer trainees of Command and General Staff College in Kalaw Station this morning. 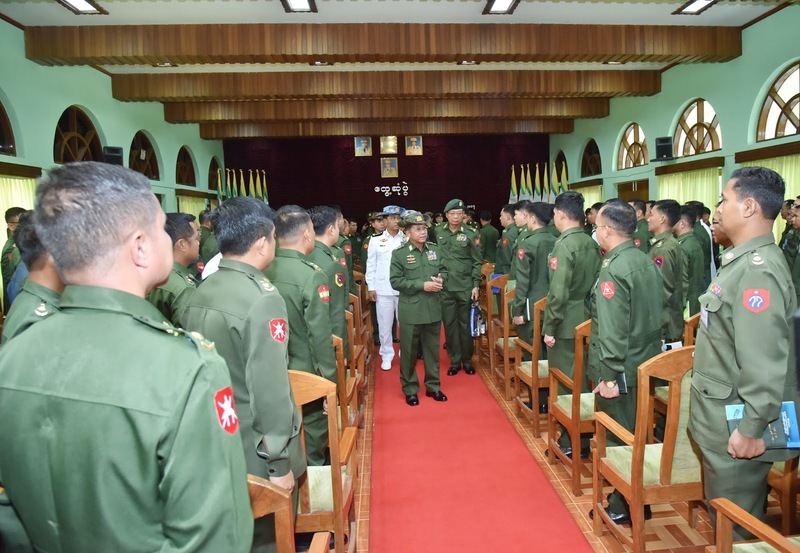 Also present on the occasion were Commander-in-Chief (Navy) Admiral Tin Aung San, Commander-in-Chief (Air) General Khin Aung Myint, senior military officers of the Office of the Commander-in-Chief (Army), the commander of Eastern Command, the commandant of Command and General Staff College, senior officer instructors and the trainees. 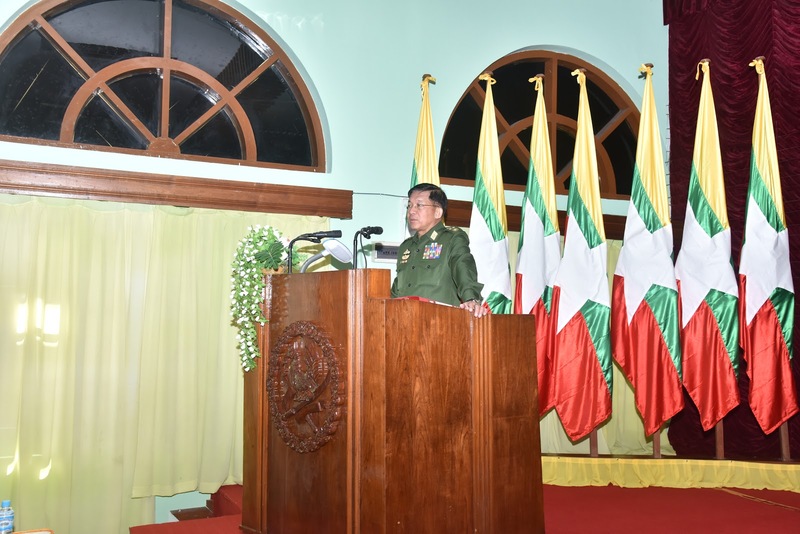 The Senior General said that the duty of the Tatmadaw is to safeguard the State and lives and property of the people. 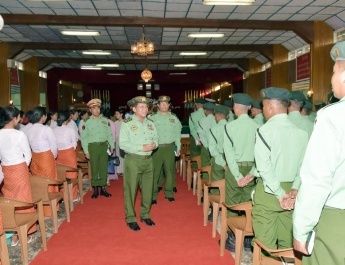 The Tatmadaw performs the State defence duty in line with the law. And the Tatmadaw’s building of defence capability is only meant to safeguard the country. The Tatmadaw must turn itself into the armed forces on which people can rely. There are five countries that border Myanmar, and stability of the border region is important. The instability at the border can impact upon bilateral relations, and hinder the development of concerned countries. 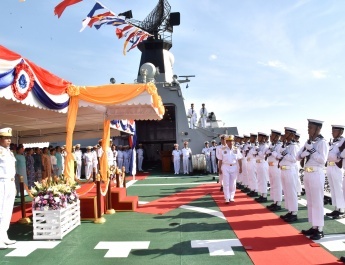 The Tatmadaw therefore is strengthening amicable relations with armed forces of the neighbouring countries. Concerning discharging of the defence duty, the Senior General said that a military must have combat capability, which depends on financial and human capital and capacity. Combat skill is the qualification of officers and other ranks. They must have three skills—military skill, administrative skill and organizational skill. For having these skills, they need to train themselves. In today’s modern wars, air superiority and superior electronic technology are the decisive factors for a victory. 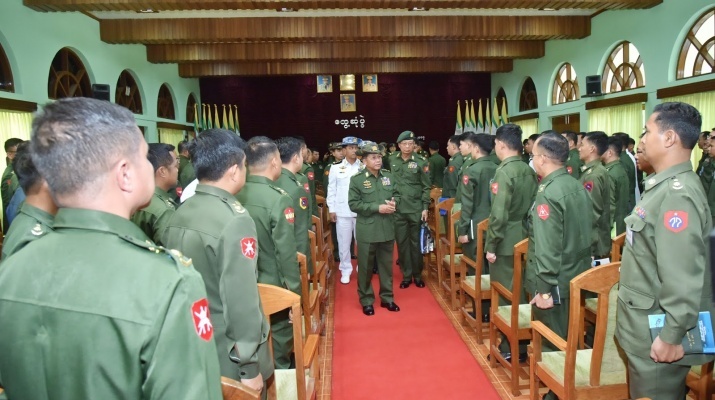 They will be able to build a capable Tatmadaw to fully defend the State by making combined use of their military experiences from frontline and military skills learnt from practical training. Unity is instrumental in building up the Tatmadaw. Unity within a military unit must be forged through fair order, management and organization. Leaders must understand the nature of how to lead and must be able to give exact order in accord with the motto “Do as I say and do as I do”. In carrying out administrative and management matters, arts subjects such as history, geography, culture and psychology cannot be sidelined because they can facilitate critical thinking. Those subjects must be learned without fail as they contribute to management affairs. Combat skills will be acquired only when there is unity. Living a life of soldier by exactly following the military rules and orders is an organizational task without a practice. As to the Rakhine State issue, it is especially necessary to let international governments, organizations and media know about the true situations as they have no knowledge of them. Humanitarian work is being carried out by the government and the Tatmadaw in Rakhine State in line with the law, but there are allegations of human rights violation. 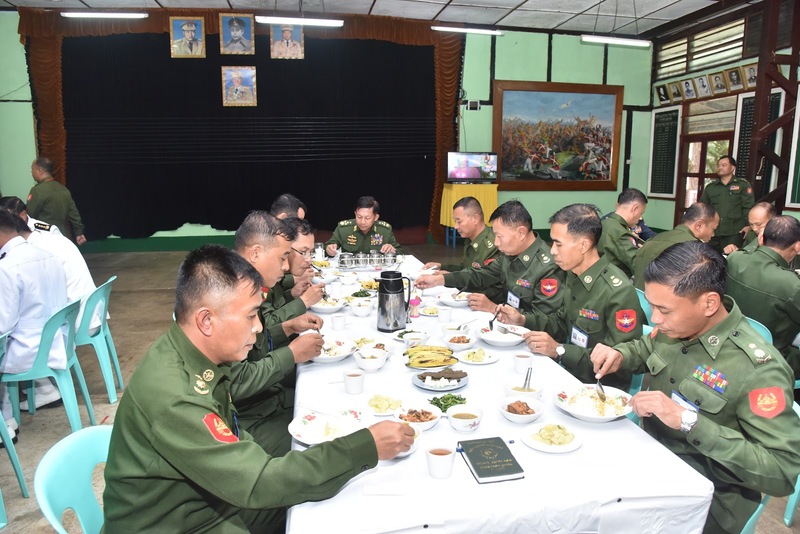 The Tatmadaw is acting in line with the law for the safeguard of national sovereignty by reporting to the government. Anyone including Bengalis will be granted citizenship in accord with the 1982 Citizenship Law. Moreover, the Tatmadaw will not accept any matters which can disintegrate unity of the nation. 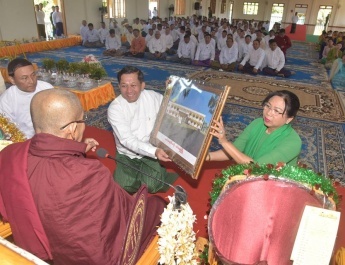 With regard to internal peace process, the Senior General said all armed ethnic organizations need to adhere to democratic practices on the way of democracy the people have already chosen. If the armed ethnic organizations hope for only opportunity for them, they will be far from peace. They would have the opportunities in line with the law. It needs to keep patience in making peace process. All from the present situation must shape the future and take lesson from the past events. As such, they will enjoy internal peace soonest, and the nation will develop. After the meeting, the Senior General and party had the lunch together with trainees at the trainee mess hall. 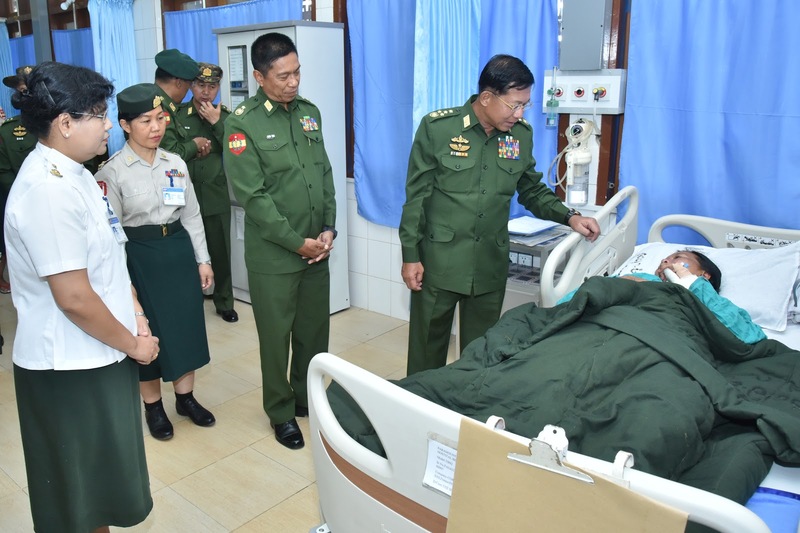 In the afternoon, the Senior General and party inspected the local Tatmadaw hospital in Aungpan Station. 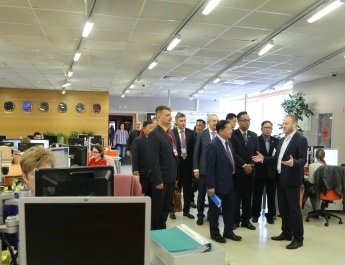 At the meeting hall, the commandant of the hospital reported to the Senior General on general staff, adjutant and quartermaster tasks, and giving medical treatment to officers, other ranks and families. After hearing the report, the Senior General fulfilled the requirements of administrative matters and medical treatments. Next, the Senior General and party met with officers and other ranks who are receiving medical treatment at the hospital. The Senior General asked patients in individuals about suffering from diseases, medical treatments and progress of health conditions, comforted them and presented gifts. 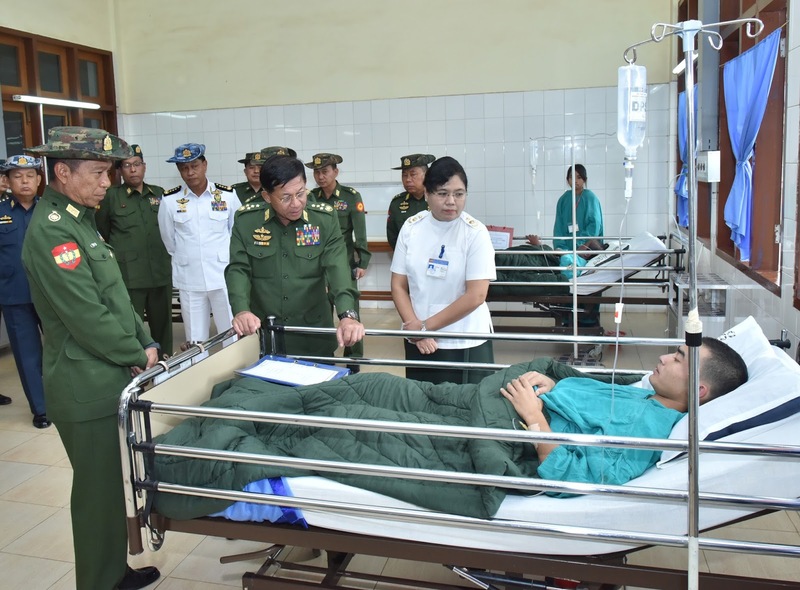 Likewise, Daw Kyu Kyu Hla, wife of the Senior General, and party met with families of Tatmadawmen receiving medical treatment at the women’s medical ward. She asked patients in individuals about suffering from diseases, medical treatments and recovery of health and presented gifts after comforting them.